We had a fantastic Thanksgiving this year. 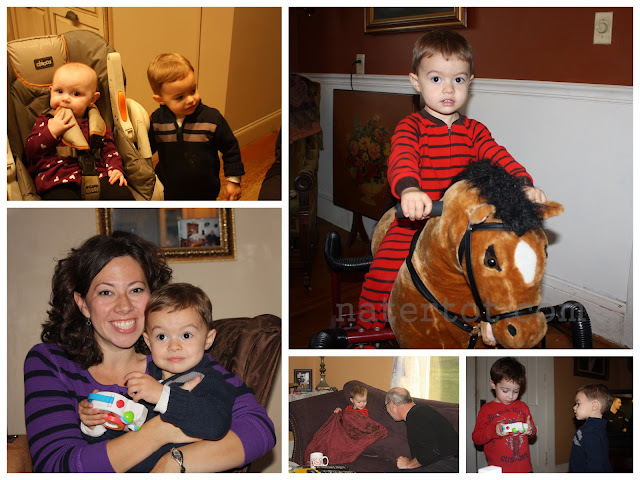 We got to spend a lot of time with family and Nate had a ball playing with his cousins, aunts, uncles, friends and grandparents. A top contender for highlight of Nate's long weekend (food is out, since he ate a peanut butter sandwich for his Thanksgiving feast) was definitely Uncle Russell's barn tour. 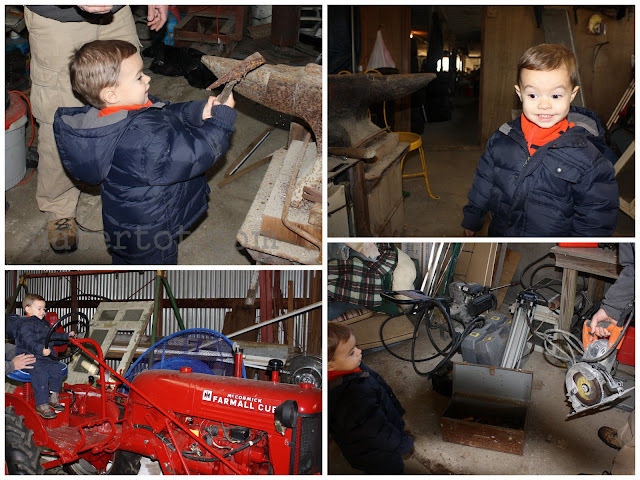 The tour included a ride on his great-great grandfather's tractor, sharp tools and heavy machinery. Nate was in heaven. I loved watching Nate hand out generous amounts of hugs and kisses to family we don't get to see often enough. 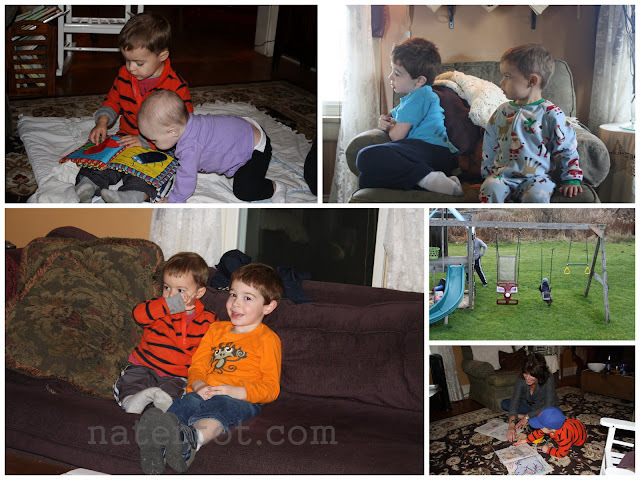 Nate was so comfortable, it was like we see them every weekend. We had a lot to be thankful for this year.